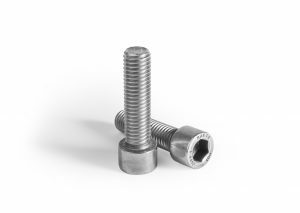 BUMAX® SDX 109 is a high strength super duplex fastener with excellent mechanical properties, and exceptional resistance to general crevice, pitting and stress corrosion in aggressive environments. Due to their high levels of chromium and molybdenum, super duplex grades provide even greater corrosion resistance than duplex grades. Typical applications for BUMAX® SDX 109 include heat exchangers in refineries, injection and ballast water systems, petrochemical industries, offshore platforms and power industries. Excellent resistance– to general corrosion, pitting and crevice corrosion and chloride induced Stress Corrosion Cracking. Lower thermal expansion coefficient– compared to austenitic stainless steels. High strength – up to strength class 12.9. All our products offer full traceability with 3.1 certificate on demand. Contact us to find out more about BUMAX® SDX 109, and how this grade can benefit your operations.